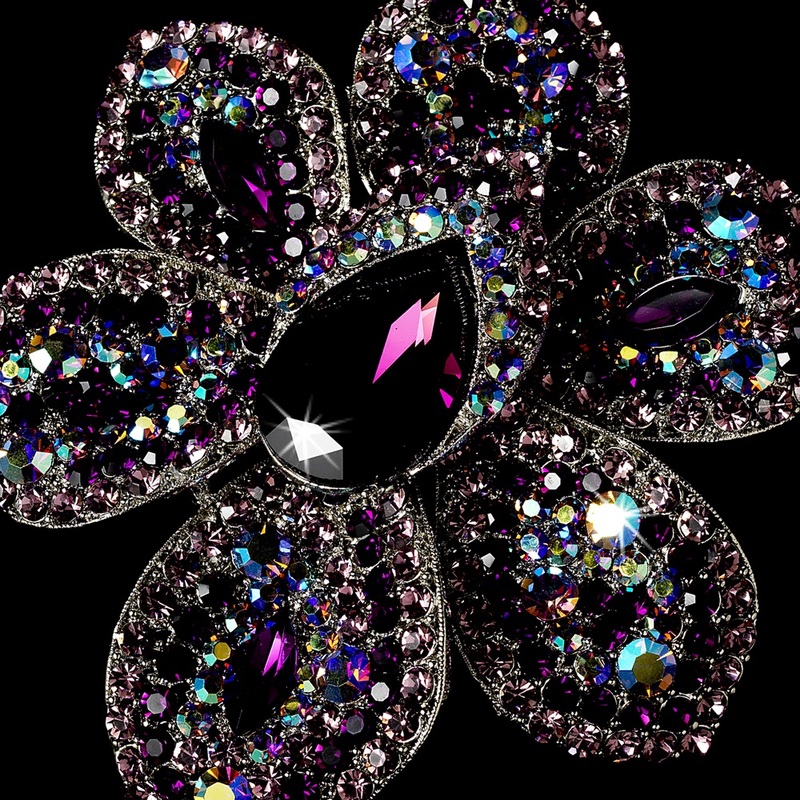 Truly unique, this gold plated floral bloom is encrusted with a mixture of both AB and light and dark amethyst crystals. A eye catching piece, this brooch is sure to add lots of sparkle to your dress. The brooch measures 5" in length and 4 1/2" in width. Also available in Smoked Gold Multi Red Crystal, Gold Topaz, Rhodium Clear, Silver Aurora Borealis or Smoked Grey Black.